$1,000 Spirit of Giving Scholarship 2019-2020 | Full Application Guide. Spirit of Giving Scholarship 2019… Wine Country Gift Baskets is now accepting applications for the Spirit of Giving Scholarship 2019. The scholarship is open for High school seniors and current college students planning to attend college or another form of post-secondary education for the full school year. Each year Wine Country Gift Baskets awards annual scholarships to three well-deserving students displaying the spirit of giving. They are giving a scholarship of $1,000 to three winners. Each year Wine Country Gift Baskets awards annual scholarships to three well-deserving students displaying the spirit of giving. The goal of the company is to ensure that your recipient enjoys its gift and is able to create a memory that lasts a lifetime. Why at Wine Country Gift Baskets – The Wine Country Gift Basket Spirit of Giving Scholarship is their way of encouraging kindness, service and so that they remain an important part of our future. Course Level: These scholarships are open for high school seniors and current college student. Numbers of Award: There are three scholarships available. Eligible Countries: US applicants are eligible to apply. 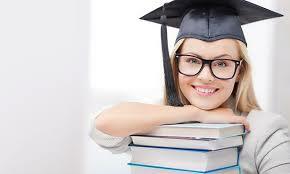 Eligible Course or Subjects: The scholarship will be awarded in any subject offered by the university. To participate in this scholarship, there are qualified institutions, but not limited to four-year universities, community colleges, technical institutes, and accredited credentials or certificate programs. The Applicants must Plan to attend school in the following school year at an institution within the US. They are not an employee or family member of Wine Country Gift Baskets or Houdini Inc and not a previous winner of this scholarship. How to Apply: To apply, the applicants need to submit their applications to emailing [email protected]. Supporting Documents: As part of the application, Applicants are required to submit all the following requirements in .doc, .docx or .pdf format: Proof of enrollment for the upcoming school year. Incoming freshman can provide a copy of the acceptance letter and a supporting document showing they have started a relationship with the school. Submission essay 500-750 words on one of the following topics: How have you advanced the spirit of giving in your community or abroad either through service or in giving? How has the spirit of giving affected you personally? How will your college or post-secondary education allow you to be of service to others or give to others? Admission Requirements: To apply for this scholarship, the applicants must need to attend school in the following school year at an institution within the US. They will provide a scholarship of $1,000 to three winners.